Inspecting a home before moving in is crucial. Some sellers are not transparent about all of the issues in a house. By hiring an experienced home inspector, buyers can find and repair all of the relevant problems before closing a deal. 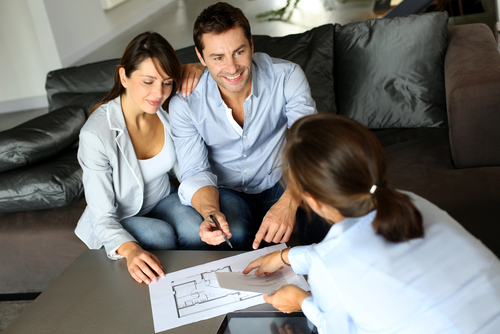 In some cases, it becomes necessary to back away from a deal after getting the inspection report. Foundation issues, pests, mold, etc are all things that may surface during an inspection and cost you money in the long run. The appraisal is the process that ensures a home is worth what a seller is asking. A home inspector will take measurements of a property and compare the house to others in the neighborhood. The inspection is relatively inexpensive, and some sellers get an appraisal completed before listing a home. Financing is a challenging part of the process. Some people struggle to get financing approval from a bank. Before making an offer, it is a good idea to have approval for a loan to ensure that you can actually afford what you are offering. Many sellers will not accept an offer from someone who does not have prior bank approval to ensure that the deal does not fall through. Increasing a person’s credit score is one of the best ways to improve their chances of financing approval. When making an offer on a home, buyers need to know that a proposal is binding. Buyers should also thoroughly understand the neighborhood and surrounding areas. The best way to determine an offer is to look at similar homes that have sold in recent months. In past years when the economy has been low, buyers would offer below asking price. In the competitive real estate markets of Ohio today, most people have to offer above asking price to close a deal. Some buyers do not factor repairs into the purchase price of a home. A home in need of multiple repairs will be at a significant discount to other houses for sale in the area. Some people make the mistake of purchasing homes in poor shape due to the lower price. This can be a costly long-term decision. After reviewing the inspection, prospective buyers should estimate the total cost of repairs and factor them into what they are willing to offer for the house. Most people expect price appreciation on property they obtain. However, not all homes will appreciate in value over time. It is vital to buy a house in a thriving area if price appreciation is one of your main purchasing goals. Buyers should research demographic trends in the area as well. If a town is growing, the chances are high that real estate prices will increase in the future. These are some of the more basic real estate terms that will come up while you are looking for a home. If you stumble upon more jargon or phrases that you are unfamiliar with, feel free to consult the experts at BHHS Crager Tobin Realty for any and all of your real estate questions.